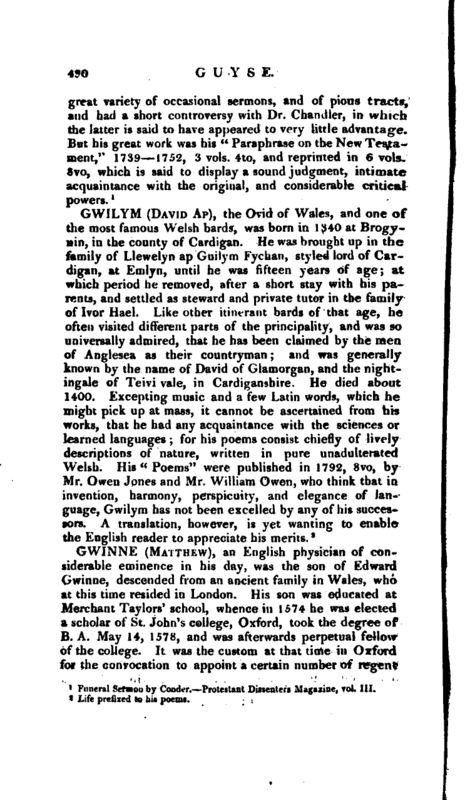 , an English physician of considerable eminence in his day, was the son of Edward Gwinne, descended from an ancient family in Wales, who at this time resided in London. His son was educated at Merchant Taylors’ school, whence in 1574 he was elected a scholar of St. John’s college, Oxford, took the degree of B. A. May 14, 1578, and was afterwards perpetual fellow of the college. It was the custom at that time in Oxford for the convocation to appoint a certain number of regent | masters, to read each of them upon some one of the liberal arts two years, for which they received a small stipend, levied upon the younger scholars. This provision was made, before the public professorships were settled and supported by fixed salaries. 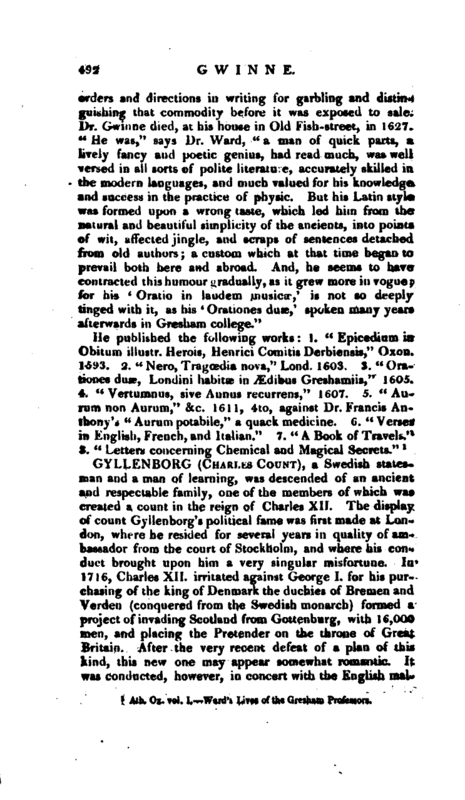 Agreeably to this practice, Mr. Gwinne was made regent-master in July 1582, and appointed to read upon music, and there is extant a manuscript oration of his upon that subject, spoken Oct. 15, of that year, in which he calls himself prelector musica publicus. 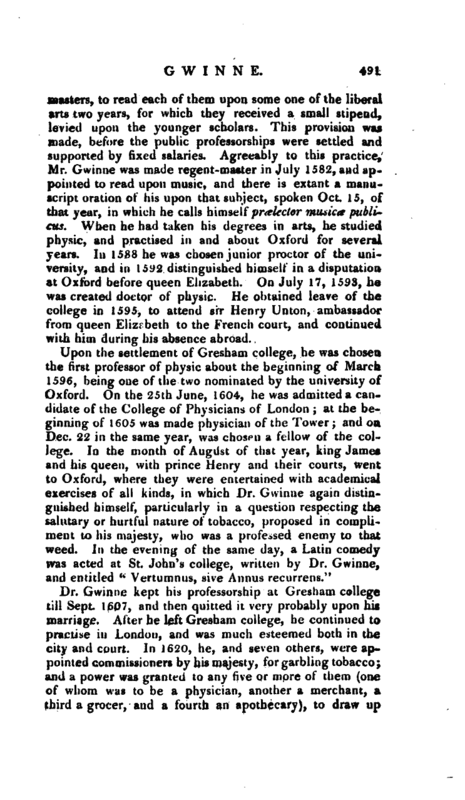 When he had taken his degrees in arts, he studied physic, and practised in and about Oxford for several years. In 1588 he was chosen junior proctor of the university, and in 1592 distinguished himself in a disputation at Oxford before queen Elizabeth. On July 17, 1593, he was created doctor of physic. He obtained leave of the college in 1595, to attend sir Henry Union, ambassador from queen Elizabeth to the French court, and continued with him during his absence abroad. Ath. Ox. vol. I. Ward’s Lives of the Gresham Professors.